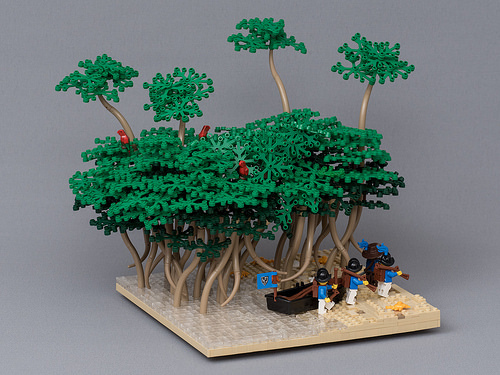 Trees are an understandably common sight among LEGO builds, but rarely does one come across a style that is truly unique and breathtaking. No doubt however, that is exactly the experience shared by these lucky explorers in this latest creation by Jonas Wide. Using a large number of tail and tusk pieces, Jonas has grown an incredibly flowing and characteristic forest of mangrove trees that seems as alive as the birds and crabs that live in it.